With Resident Evil, Gears of War, Monster Hunter, and Dead Rising already represented in cameo form in Capcom's Lost Planet 2, where do we go from here? How about the ravaged surface of Killzone's Helghan? 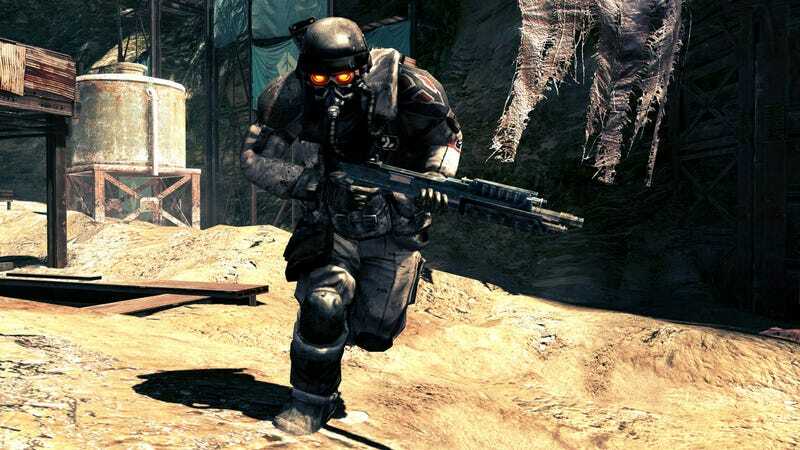 The nightmarish Helghast from the Killzone series are the latest cameo characters to make an appearance in Lost Planet 2, joining the likes of Resident Evil's Wesker, that guy from Monster Hunter, Dead Rising's Frank West, and Gears of War's Marcus and Dom. Of course Marcus and Dom are Xbox 360 exclusives, so releasing the Helghast Assault and Scout troops as PlayStation 3 exclusives should balance things out quite nicely. Looks for these scary bastards to be available as free downloads from the PlayStation Network at the end of June.